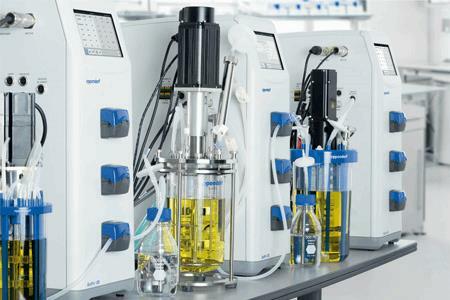 Achieving optimal process conditions for microbial growth and production of a desired bioproduct needs hardware and software to monitor and control the bioprocess parameters, including the pH, temperature, and agitation of the fermentation broth. Intuitive bioprocess software and an easy-to-use bioprocess controller can accelerate process development, because they reduce the time needed to train staff, prepare the system, and start the process run. Researchers at Praj Industries, India used the BioFlo 120 bioprocess control station to produce hyaluronic acid (HA) in Streptococcus zooepidemicus at bench scale. In this application note we describe how they set up, monitored, and controlled critical process parameters, and thus present an impression of the controller’s integrated, touchscreen-accessible software.